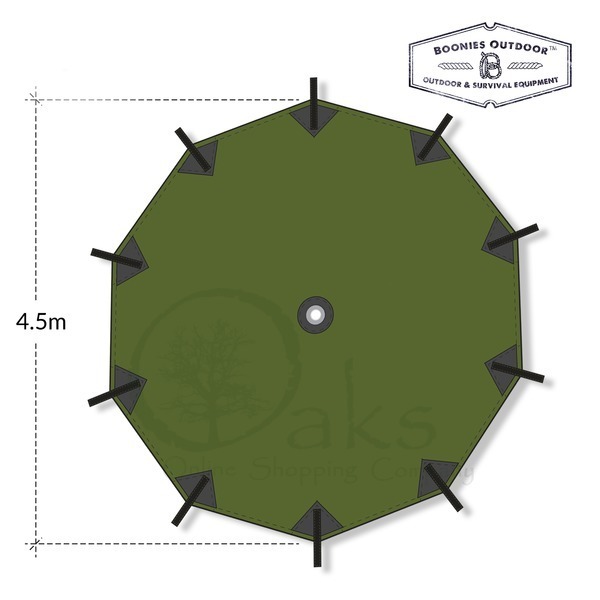 When you're teaching out in the 'Boonies' you need a large outdoor tarp for groups, and there's quite simply no better choice than the Boonies Outdoor Parachute Tarp - a large and robust tarp to hoist up into the canopy and keep your kit dry and your groups sheltered. 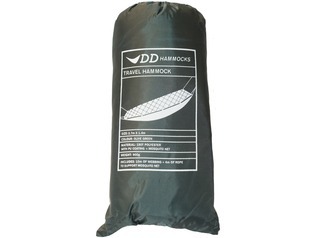 These are the perfect choice of tarp for bushcraft courses, scout gatherings or any outdoor event. 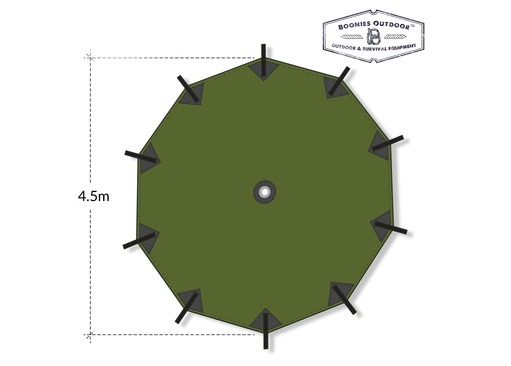 Available in two sizes, the Boonies Outdoor group shelters offer unbeatable coverage - either 4.5 meters or a massive 6 meter diameter. 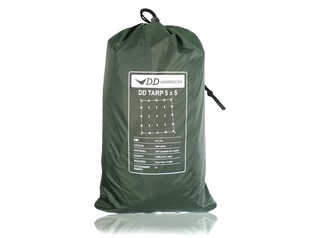 Each tarp is contrasted of a super-lightweight and durable 190T polyester with a PU Coating of 3,000mm which is 100% waterproof. 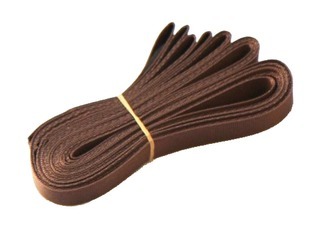 The ebst part is they pack down to a small size and will easily fit inside of rucksacks. 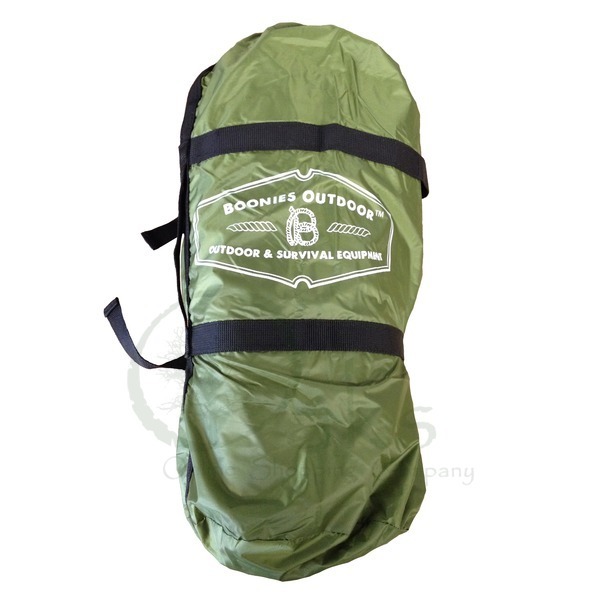 You will notice that the Boonies Outdoor Parachute Tarpaulin contains a central hole [approx. 17.62mm diameter]. This hole is present for three reasons - firstly, it is much stronger than an outer loop and it makes life easier when threading a rope from the outside in (tie a simple knot) before hoisting it into the woodland canopy. This central hole makes it easier to take the tarp down too. 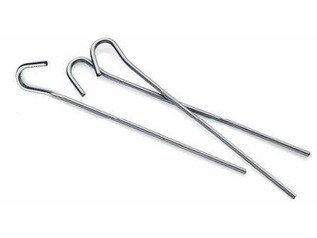 The second reason for the central hole is for use with a prop or pole - a simple woodland foraged pole is fine - this is not possible with a webbing loop! 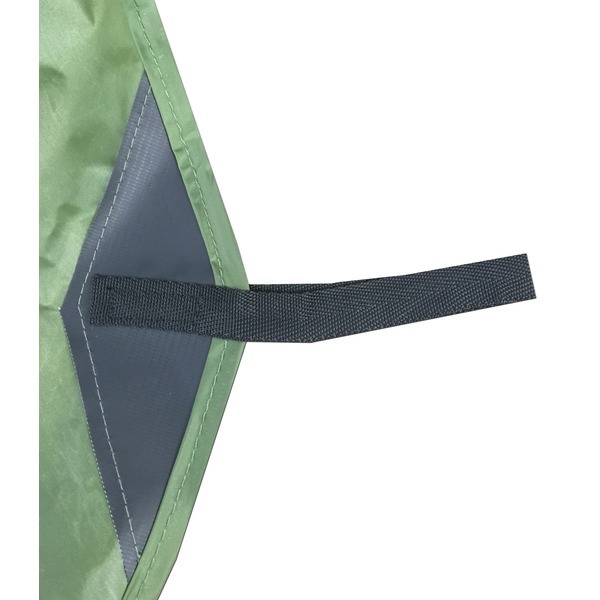 And lastly, the central hole makes life a whole lot easier when folding the tarp away as it helps express the trapped air, taking the hassle out of putting the tarp back into the compression sack (supplied). There are 10 guy line fixing points on the 4.5m tarpaulin and 14 attachment points on the 6m group shelter. 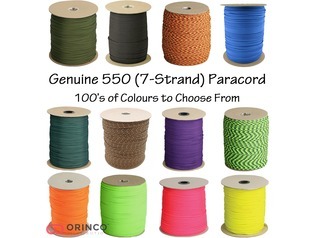 Each fixing point is reinforced and we recommend our 550 paracord as guy lines. These large tarps are designed to be spread out loosely and not stretched over existing structures, and like ALL tarps, they're not resistant to flames.